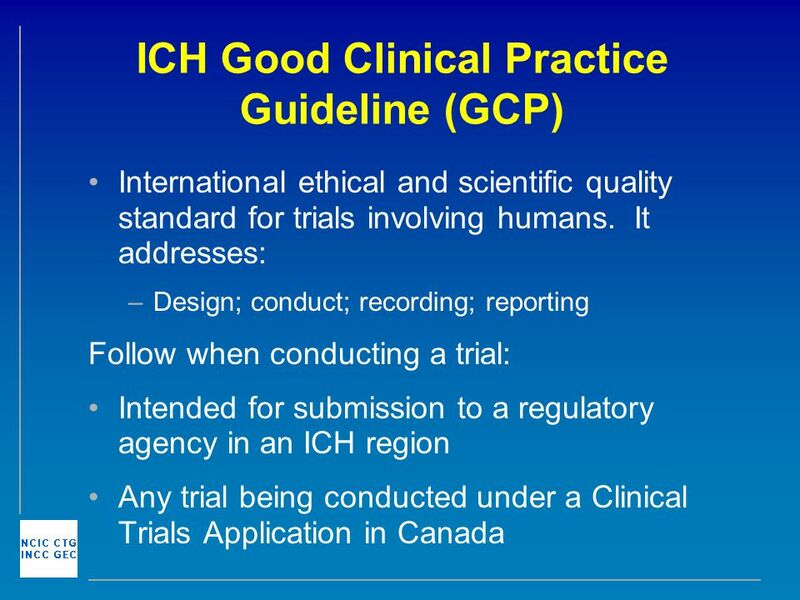 Integrated Addendum to ICH E6(R1): Guideline for Good Clinical The Guideline for Good Clinical Practice is incorporated by reference in Section 4.8 - Informed... Guideline for good clinical practice E6 The guideline was developed with consideration of the current good clinical EMA/CHMP/ICH/135/1995 Page 7/70 1.8. Guideline E6 on Good Clinical Practice E6 Guideline for Good Clinical Practice, Section 8.3.13 on Essential GCP Data Quality for Early Clinical Development.